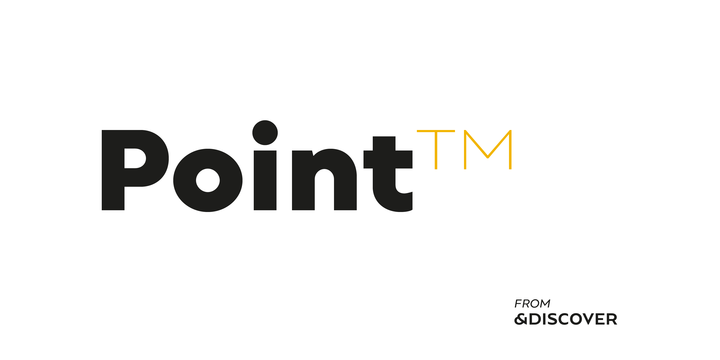 Point is a geometric typeface created by Natanael Gama and published by Ndiscover which is available in 20 styles, 10 weights (from Hairline to Black) with accompannying italics, a wide range of OpenType features and multilingual support. This elegant versatile font has geometrically perfect counters and it merge well on any kind of purpose. You may have a Point here! Styles: Hairline, Thin, XLight, Light, Book, Regular, SemiBold, Bold, XBold, Black, Italics. Note: Point is a trademark of Ndiscover. Price: starting from $29 for one font to $239 for all 20 fonts. A font description published on Tuesday, May 1st, 2018 in Fonts, Natanael Gama, Ndiscover by Alexandra that has 1,473 views.